Dragon Quest XI, NieR: Automata, and more. 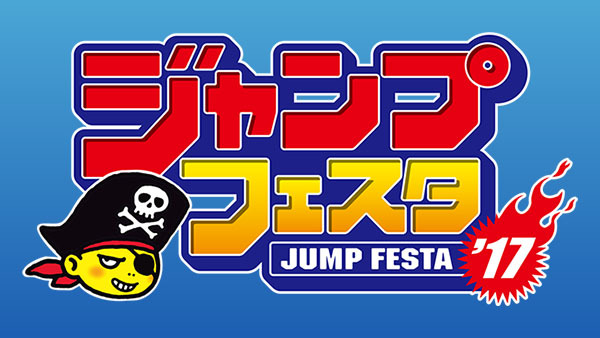 Square enix has announced its lineup, stage schedule, and opened the official website for its Jump Festa 2017 showcase. 12:30 – Dragon Quest X TV at Jump Festa 2017 Special (YouTube, Niconico) – A stage introducing Dragon Quest X, which allows you to connect through the Internet with players throughout Japan in one world and enjoy a grand adventure. In addition to taking on new monsters in a battle trial, there may be a bit of news on the later stage of Version 3.4. Featuring Yosuke Saito (producer), Chikara Saito (director), Takashi Anzai (chief planner), Saito V-San (of V-Jump), and Ayana Tsubaki (MC). 14:00 – Dragon Quest XI Jump Festa 2017 Special Stage (YouTube, Niconico) – Dragon Quest XI: In Search of Departed Time is the latest entry in the Dragon Quest series. Approximately one year after its announcement, new details will finally arrive! This special stage will be delivered by Yuji Horii, who is in charge of the game and scenario direction. Featuring Yuji Horii (game designer), Yosuke Saito (producer), Takeshi Uchikawa (director), Saito V-San (of V-Jump), and Ayana Tsubaki (MC). 15:30 – Dragon Quest: Monster Battle Scanner Special Stage (YouTube) – Dragon Quest: Monster Battle Scanner is an amusement card game machine enjoyed by players in shops all throughout Japan. This stage will deliver information on the long-awaited new chapter. Featuring Scan Master Ryoochin (Charisma), Mic Man Kasshii (Charisma), Mic Woman Yuumi (Charisma), and Saito V-San (of V-Jump). 13:00 – Hoshi no Dragon Quest Super Giga Rare Stage at Jump Festa 2017 (YouTube) – Hoshi no Dragon Quest celebrated its its one-year anniversary in October. The focus of this Giga Rare Stage will be the in-game events starting from December. 2017 update information will also be announced, so please look forward to it. Featuring Ryutaro Ichimura (producer), Yuta Nagano (administrative producer), Shintaro Hata (director), Yuji Horii (game designer), Saito V-San (of V-Jump), and Chiaki Kyan (MC). 15:00 – Dragon Quest: Monster Battle Scanner Special Stage Plus (YouTube) – Dragon Quest: Monster Battle Scanner is an amusement card game machine enjoyed by players in shops all throughout Japan. This stage will deliver information on the long-awaited new chapter. Featuring Scan Master Ryoochin (Charisma), Mic Man Kasshii (Charisma), Mic Woman Yuumi (Charisma), and Saito V-San (of V-Jump). Jump Festa 2017 runs from December 17 to 18.